Lots of shiny, red, gold and green things! This week I’m talking about the dreaded C word. It is a word I can’t deal with (at all). The word? Christmas. So why am I talking about CHRISTMAS when November hasn’t even hit yet? Partially because there is nothing worse than that awful disorganised feeling in those last few weeks running up to Christmas when you start to think to yourself, I’VE GOT NOTHING TO WEAR FOR CHRISTMAS. That’s why my Christmas suitable listing are starting early, lots of glitzy frocks and Christmas suitable presents. 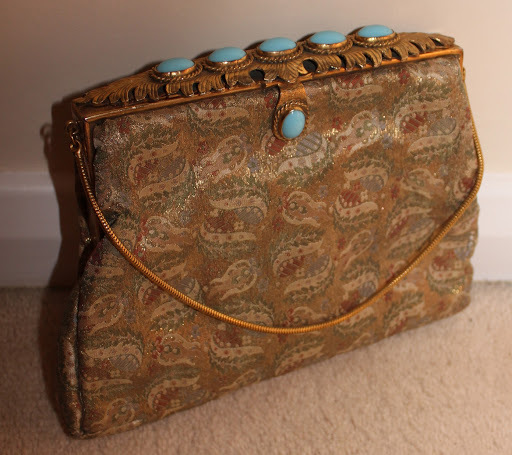 Over the next couple of weeks there will be many glitzy handbags to come from my mum’s collection and mine. 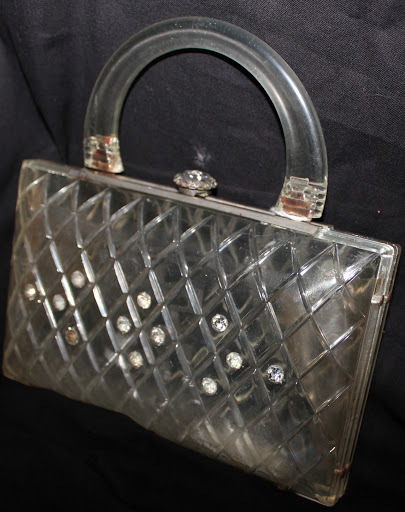 This one is an original 50s deadstock handbag, it is in almost perfect condition, and has one of the best EVER clasps to it. Bid for it here. This is one of the most superbly perfect wiggle dresses EVER. 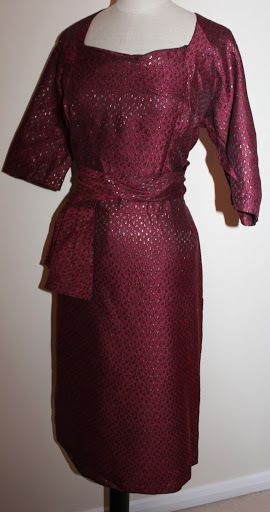 Made by John Selby from a deep red brocade. A definite mad-men esque number. Bid for it here. This little jacket would be an excellent cover up with any vintage dress. I think this dates to the 30s. 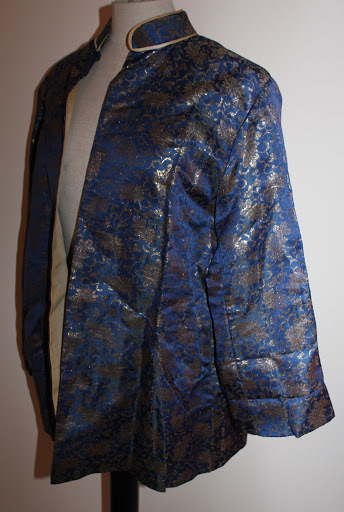 Made from amazing brocade fabric. 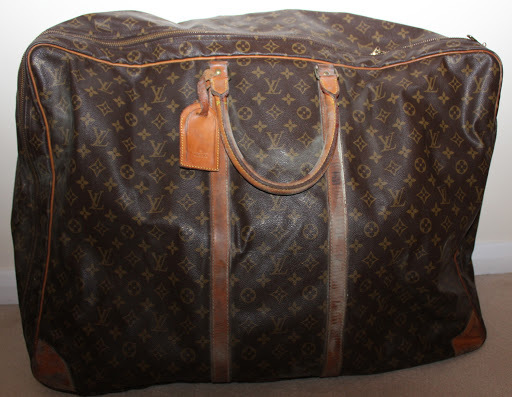 Bid for it here. 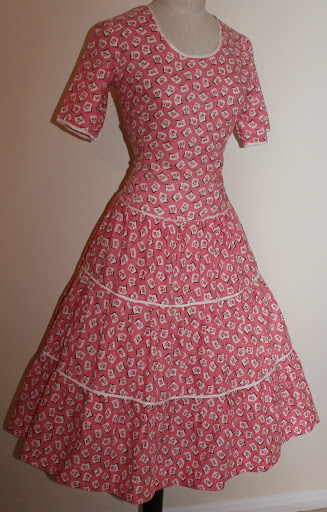 This little dress is from the 80s but its design is pure 50s in style. Bid for it here. Or, if you are like me and wear summer clothes all year round (chuck on a cardigan and tights and I’ll just wear the exact same clothes I was wearing in July). 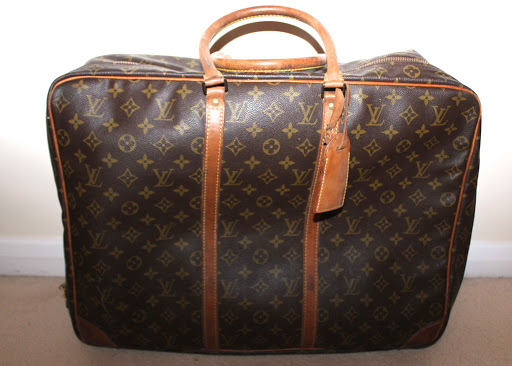 Bid for it here.